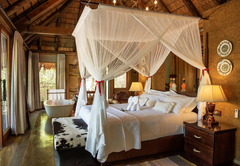 Jabulani Safari is a 5 star graded game lodge offering Kruger Park accommodation in 7 guest rooms. 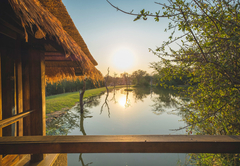 Jabulani Safari is a five star Relais & Chateaux accredited luxury lodge offering an extraordinary African experience for the discerning traveller. 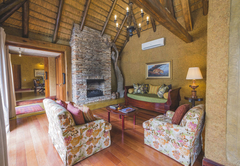 Jabulani Safari has an authentic African feel with colonial-style décor. 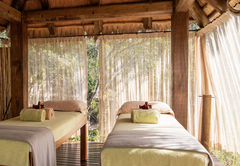 The six private suites are luxurious and comfortable, each with a deck and plunge pool. 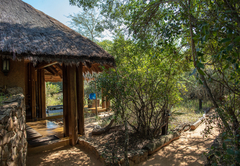 Families or groups will appreciate the stand-alone Zindoga Villa where children can be accommodated. 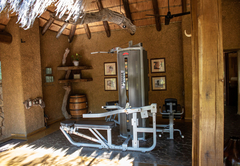 There is an on-site gym and experienced therapists offer soothing massages in the outdoor spa or in the comfort of your suite. 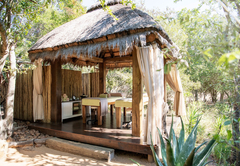 The suites are large open plan units with a lounge area, fire place, over-sized, free-standing stone bath, double vanity and glass enclosed shower surrounded by the African bush. 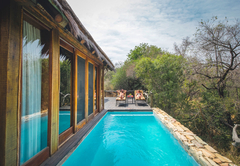 Each suite features a private plunge pool with wooden deck overlooking a dry riverbed. Amenities include direct dial telephones, mini bar stocked with client’s choice of beverages, tea and coffee making facilities, air conditioning, fan and in-room safe. Two individual suites are connected by a joint lounge and dining area. 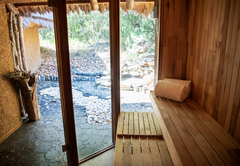 Each unit has a massive bedroom with bathroom en-suite (including glass enclosed shower), expansive wooden deck, and a private heated plunge pool. One of the suites also has a twin room, with private bathroom, for two children sharing. The Villa is sold as an exclusive unit. 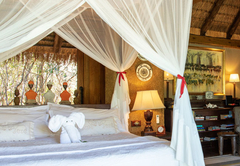 The Zindoga Villa is specifically tailored to appeal to smaller groups or families with children of all ages. 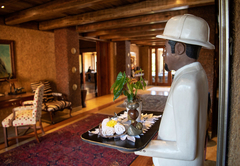 The Villa is serviced by its own dedicated team - including ranger (and private vehicle), chef and butler. 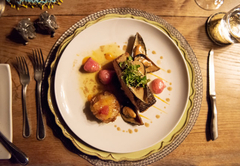 Jabulani Safari prides itself on exceptional cuisine, combined with fine wines and a variety of dining venues, both indoors and outdoors. 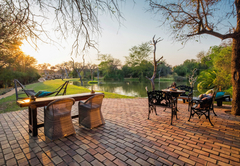 Situated on a Big 5 private game reserve in the Greater Kruger area, this is one of the finest places on earth for viewing and photographing wildlife. Experienced rangers host guests on game drives and bush walks for close sightings of predators and other iconic African species living wild. The Jabulani Elephant Experience affords Jabulani guests the opportunity to meet and spend time with the herd. 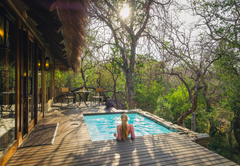 Highlights of the experience include meeting the elephants close up and hearing their stories; watching playful splashing and spraying during the midday swim; tracking the herd on foot in their own territory, and participating in field research. The Jabulani Elephant Experience is a very personal and highly immersive interaction, where man and elephant meet one another on equal terms. 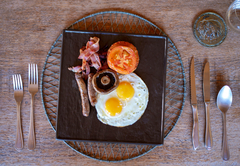 Other optional activities include hot-air ballooning, a behind the scenes tour of the Hoedspruit Endangered Species Centre (HESC), canyon helicopter tours and a game of golf. 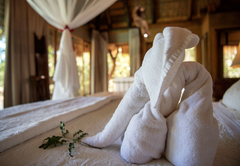 No itinerary is fixed, as Jabulani Safari offers a tailor-made experience according to its guests’ specific interests. Luxury accommodation in air-conditioned suites. Butler service. 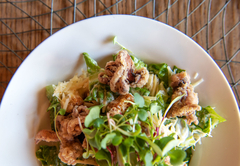 Includes all meals, snacks, beverages and local branded alcohol. 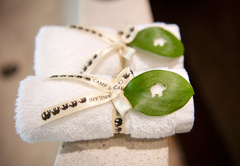 Daily elephant experience, bush walks and game drives. Internet usage and private game drive/viewing vehicle. 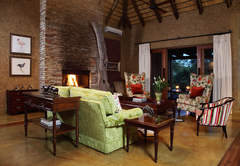 Game drives in open safari vehicles; and guided bush walks, accompanied by experienced game rangers. 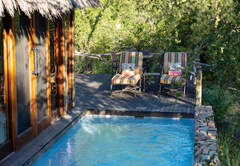 Luxury accommodation in air-conditioned suites, with private plunge pool. Beverages, including spirits and a choice over 40 cellar wines. A “behind the scenes” exclusive visit to the Hoedspruit Endangered Species Centre. Return road transfers between Jabulani and Eastgate Airport. Wireless internet connectivity in main areas and suites. Game drives in open safari vehicles; and guided bush walks, accompanied by experienced game rangers. 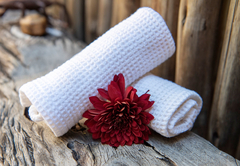 Luxury accommodation in air-conditioned suites, with private plunge pools. 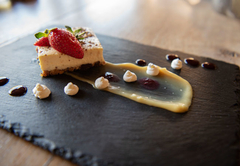 Beverages, including spirits and a choice of over 40 Cellar Wines. 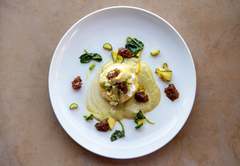 A private game drive vehicle, ranger and chef. Response timeJabulani Safari typically responds to requests in 5-10 minutes. Child policyChildren of all ages are only accommodated in the Zindoga Villa.